The thing about Goa is that it’s no single one thing for any one single set of tastes. 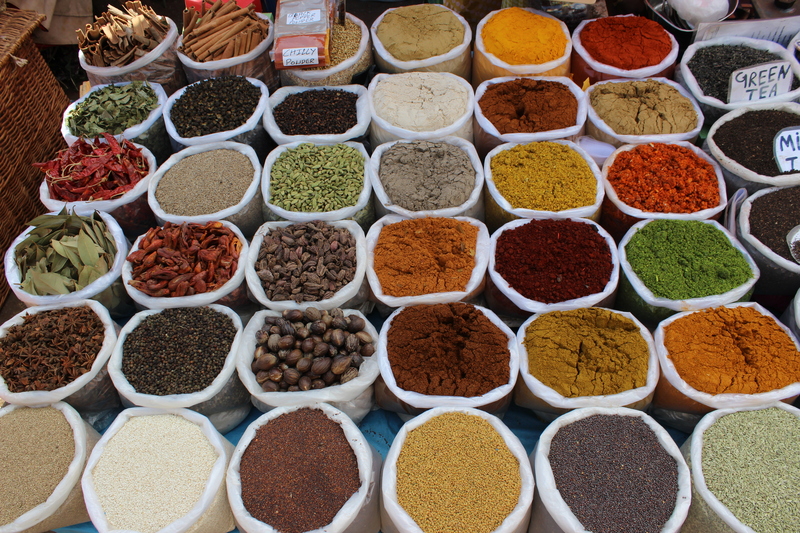 It is many different communities—and beaches—scattered over an entire Indian state. This is logistically problematic. If you aren’t careful, you might book a room far off the beaten track, without really knowing it. Fortunately I figured that out in advance. Motorbikes are standard issue here, but I don’t care for them, though it’s almost easier to just get one, than to have to avoid the constant offers to rent. If you really want to see everything and do everything, you’ll need one. This is a decentralized version of India at its most extreme, and presumably where most of its long-term ex-pats base and blend into the woodwork. India’s trying to limit it, but with little success, so as not to impact its legitimate tourist industry, which is really not much, by international standards. 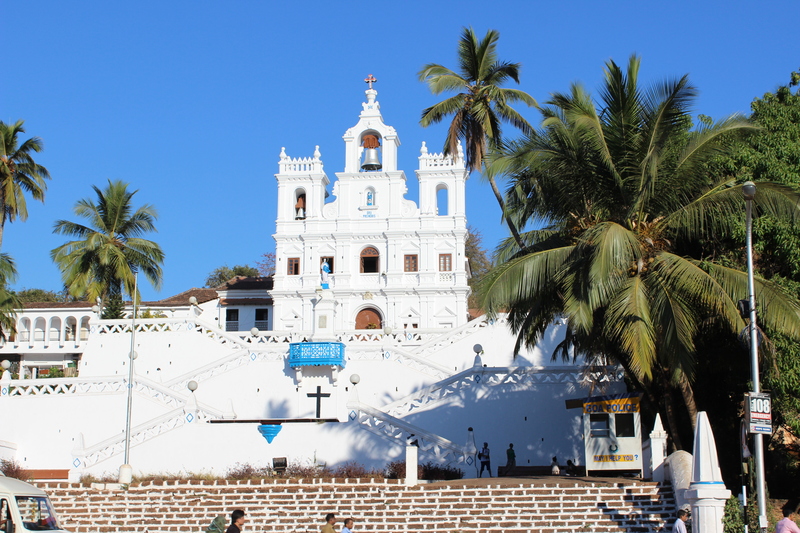 Goa claims a full third of India’s relatively meager—for its size—six to seven million annual tourist arrivals. These people don’t do the Taj, I’m guessing. For a while India had an immigration policy that required two months out of the country on every departure, to discourage visa-running, but they finally abandoned that… for good. These are mostly not real travelers here, I think it’s safe to say. That’s okay: I can sacrifice my principles for good coffee. So I have an unspoken nod-nod wink-wink agreement with my local barista that as long as they accept my skanky banknotes, then I’ll buy their expensive espresso. It’s a win-win deal. Did I mention that most of the ‘Westerners’ are Russian? At Anjuna Beach, the original tourist Goa, that’s the case, at least. Most menus and billboards are in English, and Russian Cyrillic. It’s all hard to describe, so just picture this: Russian girls in leather boots and hot-pants ride Royal Enfield motorcycles; Indian hippies chat up tourists to sell them ‘what they want’, i.e. ganja, etc; DIY Rastafarians and other minor messiahs shop for groceries; fat white ladies lie on 300-thread-count sheets with cucumbers over their eyes getting ‘Ayurvedic’ health treatments just like 3500 years ago; pale tourists swarm like dragonflies on motorbikes, buzzing the back-roads at breakneck speed, not a helmet on a single one; booths sell T-shirts with pictures of Hendrix and Marley. You get the idea. A surprising difference is that people don’t seem to smile as much as in the ‘real’ India. Is that tourist fatigue, Portuguese fado-like saudade or some Euro-angst reverse-engineered into us by cultural DNA? I’ve been accused of scarce smiles myself. Aaagghh! Maybe I’ve turned European, all moody and existential. Help! As annoying as all the Indian staring and goofing and gawking can be, it is still rather genuine, I feel, and maybe preferable to uber-cool know-it-all Euro-tude. 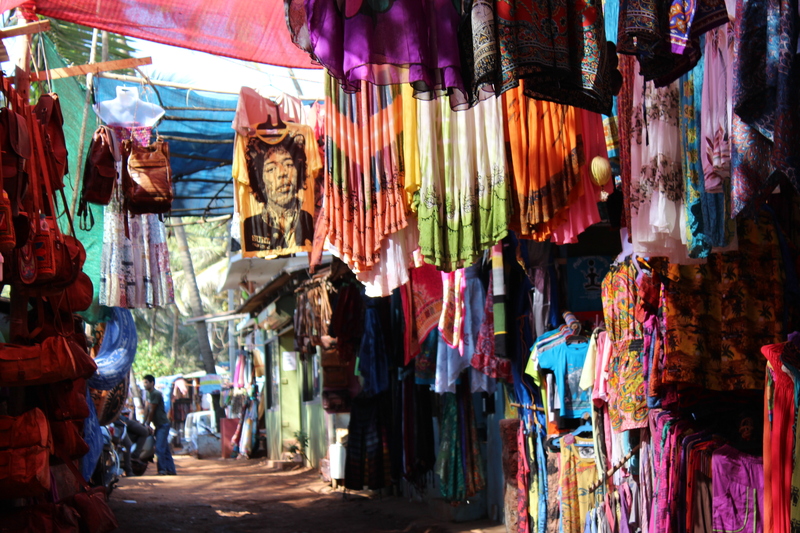 The inland Goan cities are totally different, though, and worth a stop for their own sake. As Indian cities go, they aren’t bad, especially the capital Panaji/Panjim. The touts and hawkers are largely absent, but with no shortage of amenities. A central park, clean and manicured, will even remind you of why you came here in the first place, that and the time-worn architecture. I doubt that anyone still speaks Portuguese, though. Just because Goa hosted a Lusophone gathering not long ago likely refers more to linguistic legacy than literacy. There is a TV station devoted to it, though, so who knows? Bottom line for me, regardless: Goa is just a stopover, not really a destination. This may have been a cutting-edge groover’s paradise fifty years ago, but now it just seems like an anachronism, lost in space and time (though the flea market is still pretty unique and nice, I’ll have to admit). Tourist colonies don’t interest me very much, regardless of how many full-moon parties or trance-dances they have. I’m still looking for the perfect combination of authenticity and amenities, so further south I’ll go. Kerala, here I come.